It took less than two hours for a Hampden Superior County jury to figure out that the defendant was guilty. They found her guilty of an alcohol-related charge, but not motor vehicle homicide, in a chain-reaction accident that claimed the life of a Holyoke man back in 2011, according to MassLive. The 33-year-old driver was sentenced to three years of probation, against a prosecution request for a 1 and a half-year jail sentence. The accident happened when the now sentenced driver slammed into a parked SUV back in June of 2011 on Lincoln Street. The woman who was fatally injured in the accident ran outside of her home to help a victim in the flipped car, only to be hit by a passing vehicle and killed. The second driver in this case was initially charged with negligent vehicular manslaughter, but that case was later dropped. Our drunk driving accident attorneys in Massachusetts feel it important to point out that the first driver’s blood-alcohol level was more than twice the legal limit. Unfortunately, this case illustrates the limits of the criminal justice system. 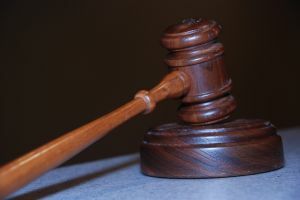 As a part of the sentence, the convicted driver is required to abstain from unprescribed drugs and alcohol, submit to a random alcohol and drug screening and attended three Alcoholics Anonymous meetings a week. According to a Rasmussen Report, close to 50 percent of Americans believe current drunk driving laws are not tough enough. Roughly 40 percent think they are about right. Only about nine percent feel those laws are too tough. There are approximately over 15,000 DUI related arrested in Massachusetts each year. -No minimum jail time, but up to 30 moths allotted. -$50 DUI Victim Trust Fund. -Jail, between 30 days and 30 months. -A fine of up to $10,000. -Hardship license available after 1 year. -Ignition interlock device (IID) required. -Jail, up to 5 years. -License suspension of 10 years. -Hardship license is available after 5 years of suspension. There are three main theories of criminal punishment: deterrence, retribution, and rehabilitation. While rehabilitation would perhaps be the most effective approach to drunk driving, particularly when offenders have problems with alcohol, current laws leave little opportunity for rehabilitation analysis, especially with respect to penalties for second and subsequent offenses. Under state law, it is also illegal to operate a motor vehicle with an open container of alcohol anywhere in the vehicle, no matter who’s holding it. This means you can’t drive with an empty liquor bottle in your backseat, nor have a passenger drinking a can of beer. Police officers in the state administer a breathalyzer to drivers suspected of drunken driving. Drivers can refuse to take the breathalyzer, but this results in an automatic suspension of the driver’s license.